Recent surveys show that a consistent portion of patients still receive inadequate treatment for postoperative pain despite major advances in the treatment of acute pain in the past decade. Undoubtedly, in some centres, due to either patient-controlled analgesia (PCA) or epidural analgesia, some patients have enjoyed a better quality of postoperative pain relief than the majority. However, it was not until 1988 in the United States that both these advanced techniques of pain management gained widespread use in the management of postoperative pain under the supervision of a dedicated team. PCA, epidural analgesia, and peripheral nerve blocks must be introduced on a routine basis because they provide superior analgesia compared with intromuscular (i.m.) opioids, but have their own risks and thus, require special monitoring. It is now generally accepted that postoperative pain can be managed more effectively by following established minimal standards under the responsibility of the anaesthesiology based Acute Pain Services (APS). 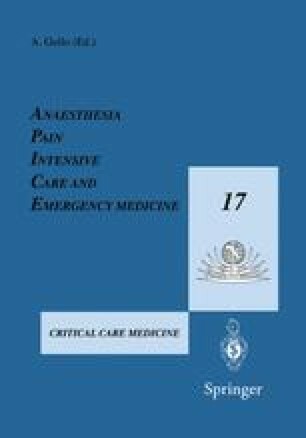 The success of acute pain teams — it is now a condition for accreditation that an acute hospital has an acute pain team — has resulted in extension of the roles outside the treatment of postsurgical pain into roles in the medical wards, intensive care units, neurosurgical intensive care units, and emergency departments. While better postoperative pain management is relatively easy to obtain, there has to be a balance between acceptable risk, proven benefit — the growth of evidence-based medicine — and cost-effectiveness. Published guidelines underline the importance of treating effectively postoperative pain in any patient undergoing surgery, even if cost issues in pain management have been poorly studied.